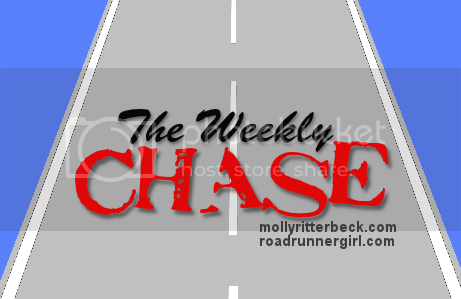 Road Runner Girl: The Weekly Chase #32! I had another hard run Saturday morning. This heat and humidity is really getting to me. It's time for it to GO! I'll tell you more about my run in tomorrow's post. It's time for a new Weekly Chase! I'm ready to set some new goals for the week! I hope you will set some too and link up with us! 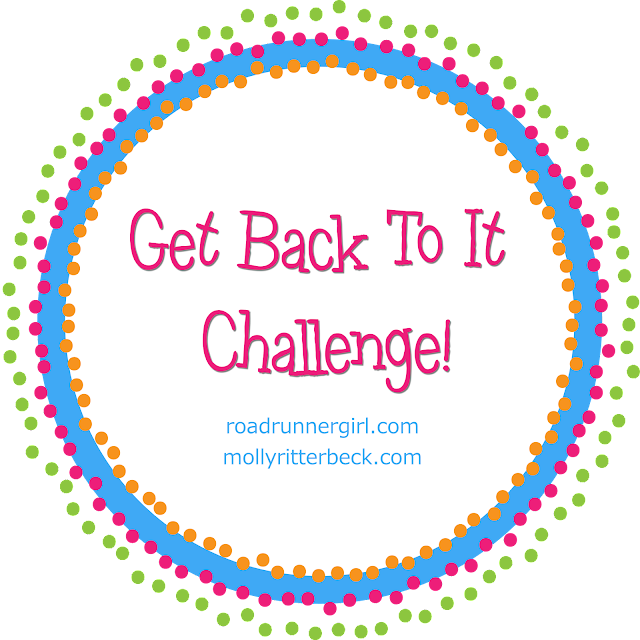 Since it is August...it's time for a new challenge! 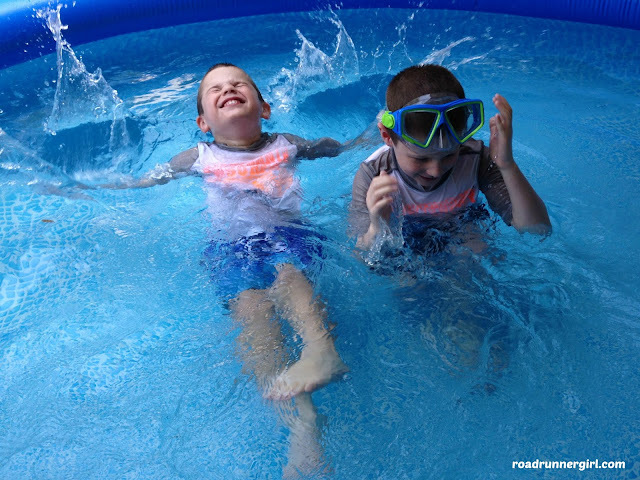 This month's challenge is geared around Back to School. For some of you I know that time is in September but in my part of the world that time is now. This month I want you to think of one thing in your life that you used to do and wish you were still doing. Maybe you used to exercise 4 days a week. Maybe you used to cook more meals for your family. Whatever it is...this month let's Get Back To It! Goal #1: Run 4 times this week. Yes! I got in all 4 of my runs this week! They weren't pretty or easy but I got them done! Goal #2: Get in at least one walk each week for some cross training. Yes! The whole family went on a walk together Saturday night! We even saw some people flying model airplanes..the boys loved it! Goal #3: Do my "All About the Minutes" exercises every day (challenge goal). Yes! I did planks, squats, lunges, bridges, push-ups, dips, and burpees! Goal #4: Start working on classroom stuff and lesson plans! Yes! This was so fun! I decided to decorate the classroom in owls! I've been printing out lots of cute owl things! Goal #5: Go through the boys' school uniforms. Success! The boys had several short sleeved shirts that still fit but all of their shorts and pants were too little! They are growing like weeds!!! So here's my plan for this week! Goal #1: Run 4 times this week. I want to continue my runs this week and hope that they get better. The heat and humidity are really getting to me lately. Half marathon training starts in two weeks!!! Goal #2: Get in at least one walk each week for some cross training. Hopefully this week my walk will take place outside! Goal #3: Clean and decorate my classroom. I've got most of my ideas and cute owl stuff. Now I'm ready to put it all up in the classroom! I also need to go through everything that is in there. My director said I can keep/get rid of whatever I need to. Goal #4: Get back to drinking my water every day (challenge goal). I still drink water every day but have really slacked on the amount I need to drink each day. With training about to begin I need to get back into my water habit! That's it for the week! I also have CPR on Thursday with my new job...perfect timing since my CPR actually expires this month! Wish me luck! QOTD: What goals do you have for this week?